Our business began in 1967 as Harry’s Automotive, aka Cadillac Independent Garage on Parthenia Street in Northridge, California. We moved to the automotive complex at 8637 Lindley Ave. in 1982. We were founded by Harry Rabin and built on character and trust. We believe that serving our community with honesty and the best possible service is paramount to a lasting relationship between our customers and ourselves. In 1983 Charles Thomas joined the crew at Harry’s and quickly moved up the ladder from after school mechanic’s apprentice to head technician. Charles attended Cal State University Northridge (CSUN) and graduated with a Bachelors Degree in Business / Economics. He furthered his career in business and became manager. In 1998 Harry and Charles entered into a 6 year partnership that left Charles as the full owner in 2004. Charles has continued to follow the fine example set to him by offering that personal service and attention to detail that you just can’t get at the dealerships. We have changed our name to High Octane Automotive in 2005 but not our character. 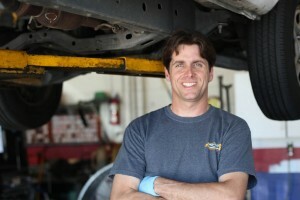 Harry retired in 2007 but continues to stay busy doing what he loves most, tinkering with cars on his own time. At High Octane Automotive we strive to offer the best service in town. We employ only highly qualified technicians and use only the best parts. We offer you a 1 year or 12,000 mile warranty on all our repairs. We have been a AC Delco Key Service Center with factory training for over 10 years. In 2008 we went through the stringent application process with AAA Automobile Club of Southern California. 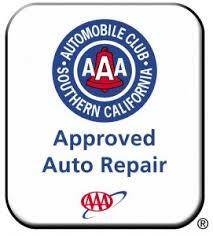 So as of 2008 we joined the family of AAA approved shops serving the San Fernando Valley. Read more about AAA Approved Auto Repair details here. We are here to serve you and make your experience with us the best possible, so if you have any questions or comments, feel free to contact Charles Thomas at our main number 818-349-4335. Thank You.